Zombie Mommies: Replication: Would you clone yourself? Are all cloning stories based on the same idea? If I hadn't already read Nancy Farmer's The House of the Scorpion or watched Ewan McGregor in The Island, I may have been more impressed by a story of spoiler (harvesting organs from human clones). Granted this one was about 1 individual being cloned multiple times...but, wait...isn't that like The House of the Scorpion? I felt like I really knew Martyr; As a clone, we learn of his perceptions and views while living on the farm and then see his lack of knowledge of the "real world" when he escapes. What he thinks about colors, sky, clothing. What he calls a "dog" or a "house." It makes me think about when and what we learn about the world. Abby's train of thought and sarcasm were funny. Williamson did a good job of balancing the themes of Christianity in a Sci-fi novel. I didn't feel like she trying to preach to me. 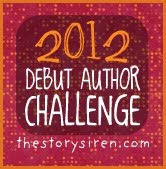 It just felt like a story about a girl who just happens to believe in God. There are definite Christian principles in the novel such as prayer, creation, and the Bible which may be a little overwhelming if you are not interested in those topics. A discussion guide was included! Yay! Some answers weren't good enough for me. Why do clones need to be educated if the doctors are just going to take out their body parts? Just to keep them civilized? What if you just kept them in a vegetative state? 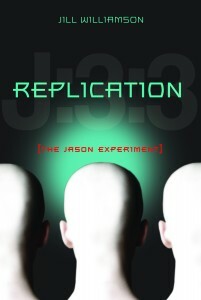 Click here to purchase Replication: The Jason Experiment on Amazon.com.